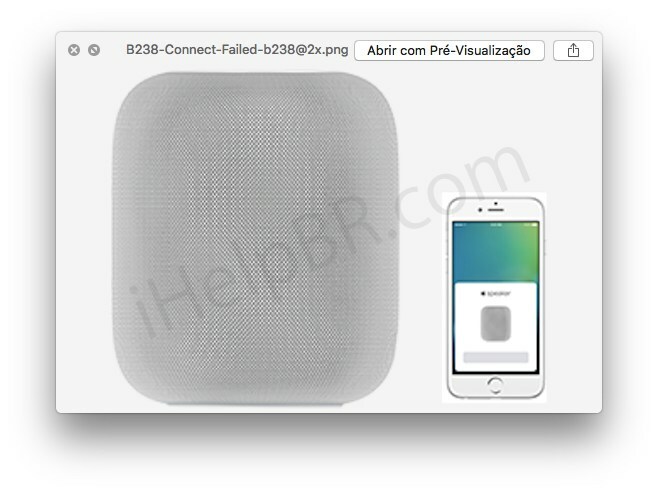 Fresh details on HomePod’s setup, unearthed yesterday from the newest iOS 11 developer beta by Brazilian outlet iHelp.br (Google Translate), show that the process of setting up Apple’s upcoming wireless speaker won’t differ much from configuring your AirPods or Apple TV via your iPhone, iPod or iPod touch with iOS 11. For the impatient types out there, young Brazilian iOS developer Guilherme Rambo has tweeted out a video showing the HomePod setup process in action. As you can see for yourself, you’ll be configuring your HomePod through an iPhone. When you first turn the device on, a card pops up on your iPhone not unlike the AirPods setup card offering you to pair and configure your wireless speaker. The setup process begins with choosing the Siri language. Of note, HomePod’s Siri support will be limited at launch to English from US, UK and Australia). According to Rambo, the same process will be adopted for Apple TV and Whole House Audio. Next, you’ll input a four-digit code in your iPhone (like pairing your Apple TV for the first time) that Siri will read out to you, confirm your Apple ID to sync iCloud and Apple Music with your HomePod, choose Siri accent and voice gender, select whether to install updates manually or automatically through an iOS device, opt in to share diagnostics and analytics data with Apple and, lastly, choose a room in your home the device is located (HomePod will support multi-room audio via AirPlay 2). To shorten the process, you’ll be able to optionally share existing settings through an iOS device. By the way, Siri must be present in almost the entire setup process. According to the code strings, “you must be connected to a WPA/WPA2 Personal Wi-Fi network to set up your HomePod.” It would seem that Apple ID accounts without Two-Factor Authentication or iCloud Keychain enabled won’t be able to complete some steps in the pairing process. When done setting up the HomePod, you’ll hear Siri say “Hi, I am Siri, your virtual assistant,” Rambo said. As there’s no interface, when a request is taking a long time to complete Siri will say something along the lines of “Still looking…”, ”Give me a moment…” and so forth. Siri can be invoked in HomePod with “Hey Siri” or by tapping on the device. A splash screen will inform users about some of the things they could ask Siri on their HomePod, like “Turn on the lights,” “Play some music”, “Tell me the news” and more. It’s also interesting that multi-HomePod households will be able to update the firmware on all devices at once. Like with the Music app on iOS 11, tvOS 11 and watchOS 4, HomePod will make any songs, albums and artists played through it publicly available to your followers on Apple Music, which will also influence the recommendations in the “For You” section. And with HomePod-specific VoiceOver controls such as “Touch to Speak”, “Lift to Activate” and “Hold on Volume Controls to Change Quickly”, you’ll be able to use interact with the device by touching its touch-sensitive display area or pressing the volume and playback controls on the speaker’s top. Priced at $349, HomePod in White and Space Gray is scheduled to make its debut this December in the United States, the United Kingdom and Australia before hitting markets around the globe in 2018.